I love seeing all the amazing pumpkin carving that goes on this time of year. 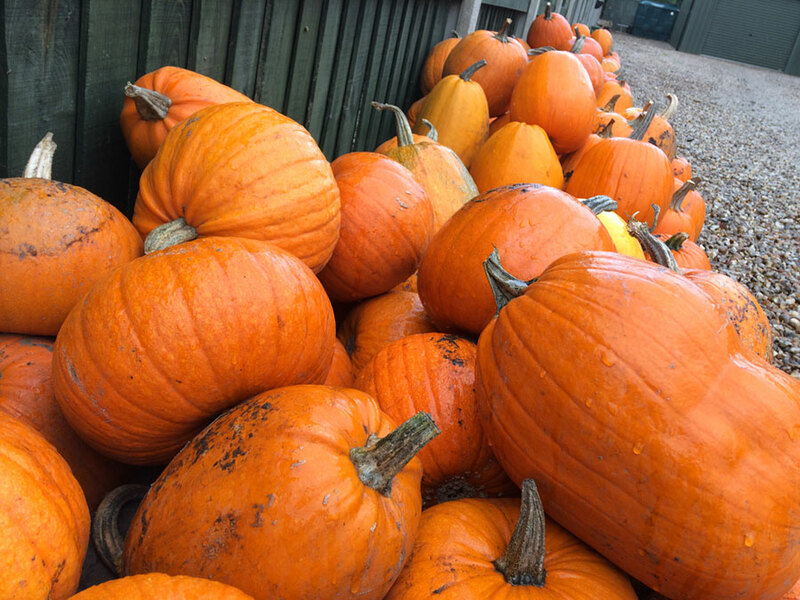 There are some great Pick Your Own pumpkin farms around these days too – so your opportunities to find some are high! I worry about the waste though, all those gorgeous pumpkin innards going straight into the bin. So, I thought I’d ask some local companies who specialise in cooking, to give me some recipes and ideas. I’ve added one of my own too. Here’s to more food and less waste! Mix pumpkin in with normal potato for a festive shepherds pie topping. Roast with garlic and mash to make a pasta sauce coating perfect for tagliatelle. Add chunks to a peanut butter pork stir fry. Marinade pork fillet in peanut butter and sesame oil and pre-cook separately. Whilst the meat rests, fry frozen garlic & frozen ginger in sesame oil, fry angel hair noodles and stir fry veg with the pumpkin chunks and add the pork to warm through before serving. In a large bowl mix together the pumpkin, eggs, mayonnaise and water. Beat until you have a smooth consistency. Add the salt, baking powder, nutmeg and cinnamon, then gradually stir in the flour and sugar. Mux well until all the ingredients are combined. Divide the mixture between the pudding moulds. Bake in the oven for 35-40 minutes, until a cake tester comes out clean. Leave to cool then remove from the moulds. Beat together the butter, icing sugar and vanilla to make a buttercream. Divide this between the cakes and smooth all over each one. Roll the icing out to about 1/8″ thick, use a round desert bowl to cut around to make 4 circles. Lay one circle over each cake. Gently stretch it down the sides of the cake and let it fall into place to give you a rippled effect. Use the icing pen to draw your ghostly features. Roasted Pumpkin Seeds – by Me!! 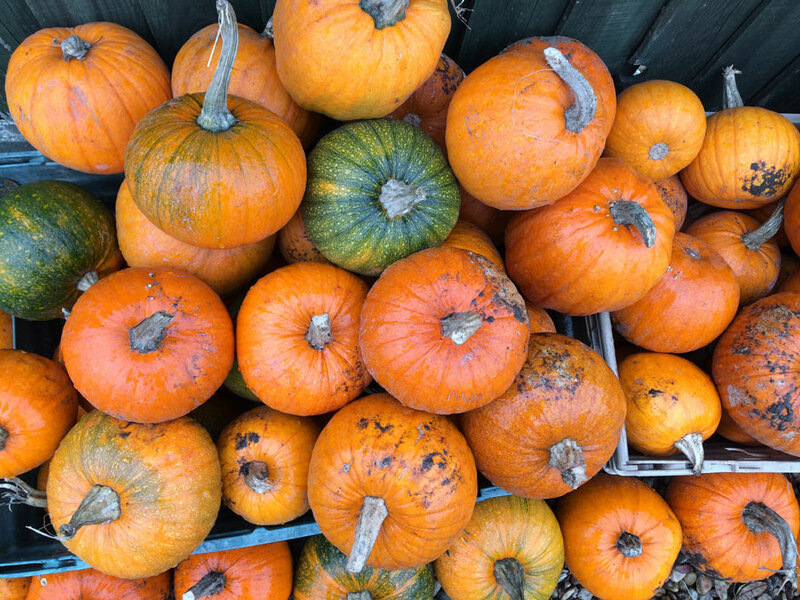 Scrape the seeds from your pumpkin, taking off all the strings of pumpkin flesh and giving them a good wash. Pat dry in a clean tea cloth or kitchen roll. Toss in a tbsp of olive oil. Gather together your favourite spices and some salt. I love smoked paprika (1tsp) and a little cumin (1/2 tsp) with garlic powder (1/2 tsp). You could also use crushed fennel seeds, chilli powder, pepper, garlic powder, the possibilities are endless. About 2tsp in total of spices in total is a good balance. Sea salt is essential to bring out the flavour so add 1 to 1/2 tsp of it. Mix salt and spices well and coat the pumpkin seeds with it. Spread thinly on a baking tray and bake for 20-30 minutes, until they’re golden and crispy. Heat the oven to 200C/180c fan/Gas 6. Slice the top off the pumpkin and scoop out all the seeds. Put the pumpkin on a baking tray, rub with olive oil inside and out, season with salt and pepper. Roast in the oven for 45 minutes along with the lid on the side. Meanwhile, cook the rice as per the packet instructions and allow to cool. Squeeze over the lemon juice, stir in the feta, peppers and basil. Pack the rice mixture into the cooked pumpkin and return to the oven for 10 minutes or until it’s piping hot.